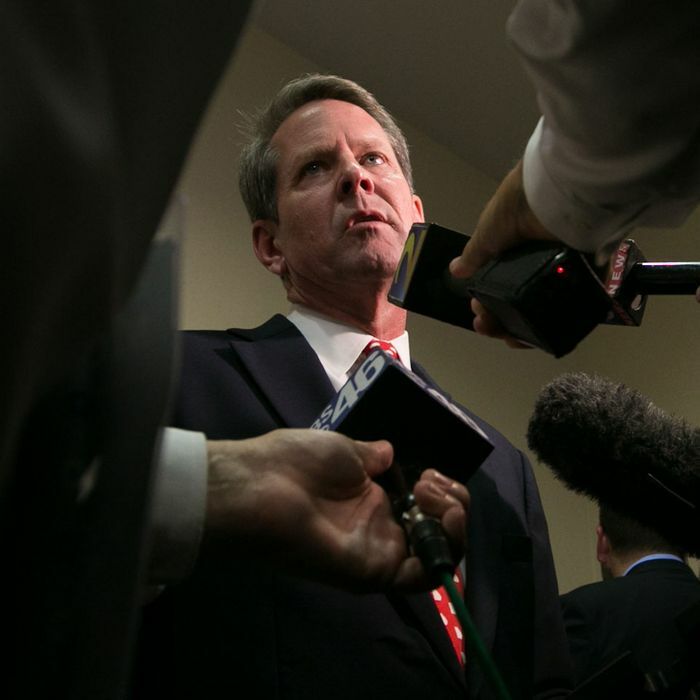 The office of Georgia Secretary of State Brian Kemp, who is the GOP’s gubernatorial nominee, is famous for two things this year when it comes to election administration. The first is their boss’ determination to combat the phantom menace of voter fraud, even if that means disenfranchising eligible voters in large numbers. The second is Kemp and company’s breezy dismissal of multiple alarms about the security of Georgia’s unique and archaic all-electronic, no-paper-trail voting system. The state of Georgia has blocked all foreign internet traffic to its online voter registration site, BuzzFeed News has learned, a move that would do little to deter hackers but blocks absentee voters …. Perfectly eligible voters who happen to reside overseas, in other words, will find themselves blocked from registering unless they figure out workarounds or navigate the Georgia Secretary of State’s contact system to get technical assistance. Most will simply give up. But real hackers won’t have a problem with it. “This won’t really do anything to dissuade a hacker. It will only turn away real voters,” said Susan Dzieduszycka-Suinat, president of the US Vote Foundation, a nonprofit that helps Americans vote abroad. Given the recent brouhaha over efforts to shut down polling places in a mainly black Georgia county, which some critics traced to advice from Kemp’s office, you’d figure the election administrators in that state would be trying to play error-free baseball for a while. But bad habits sometimes die a slow death.